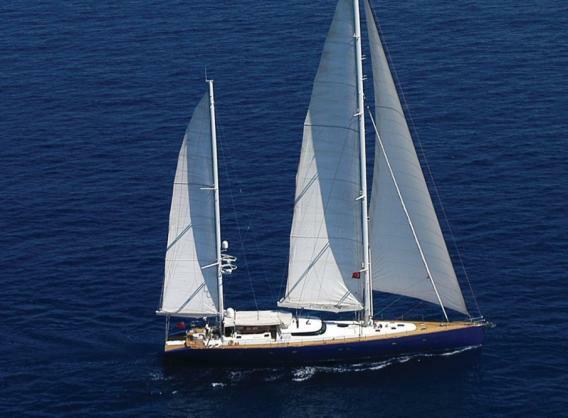 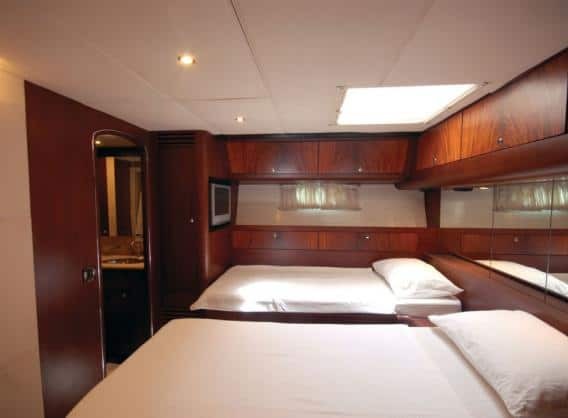 The Marc Lombard designed ROSINANTE of NOTIKA (now NEDSHIP) successfully combines maximum sailing experience with maximum comfort. 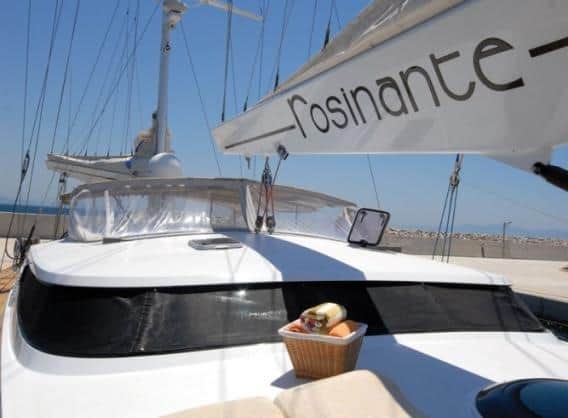 ROSINANTE’s sleek hull, light displacement, strong rigging and stability enables her to change most people’s standards from drifting to real sailing by easily reaching average speeds of 14 knots under sail. 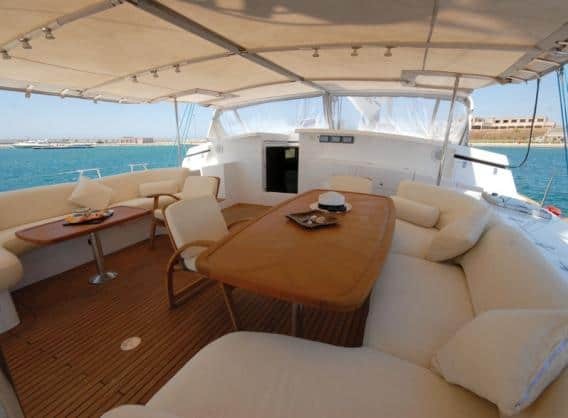 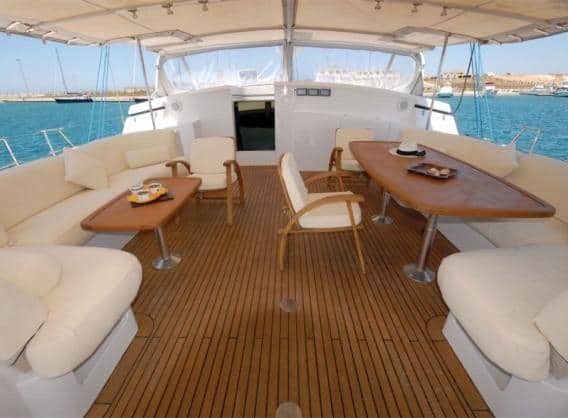 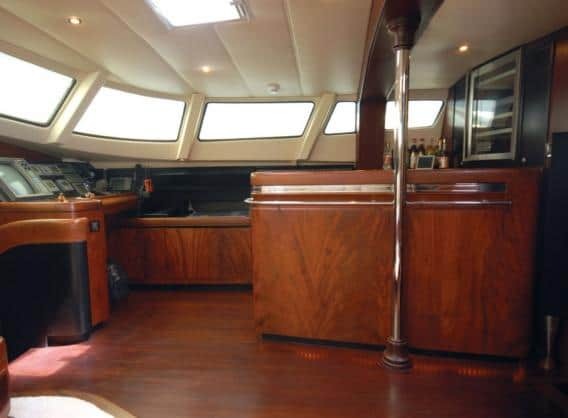 She offers vast decks, a large, covered cockpit for “al fresco” dining and a huge range of watersports and leisure equipment. 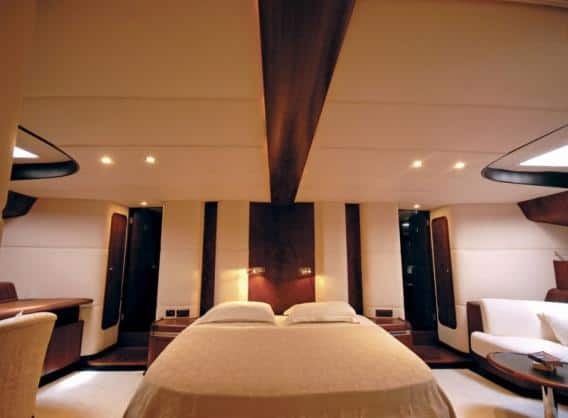 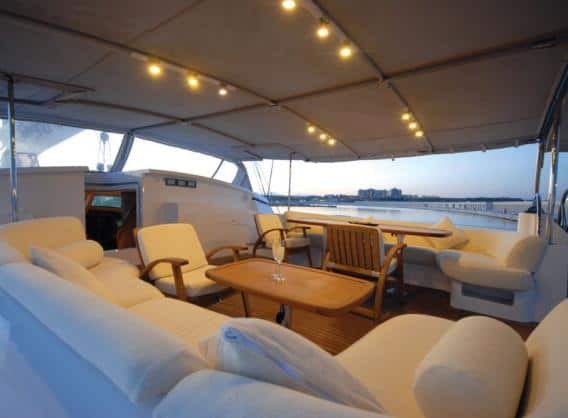 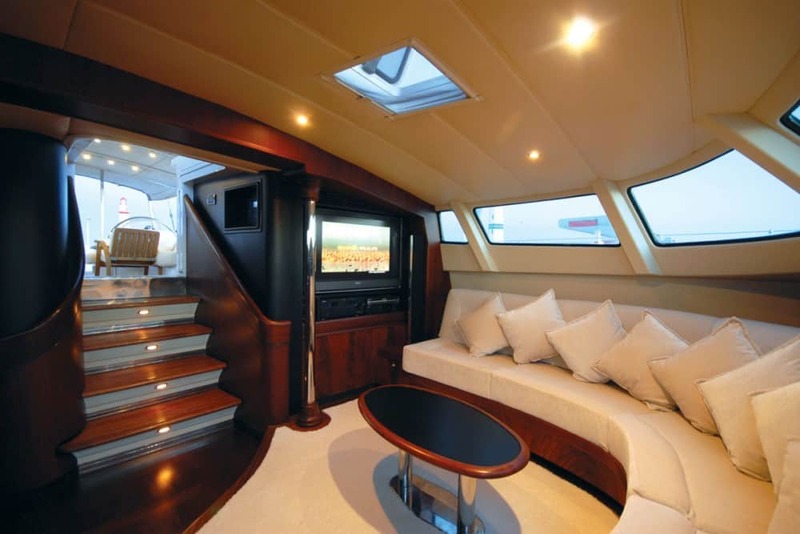 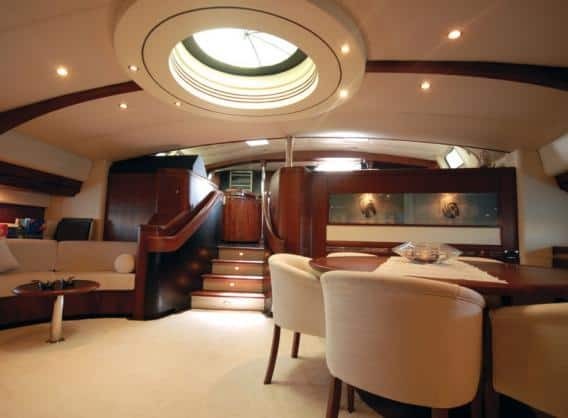 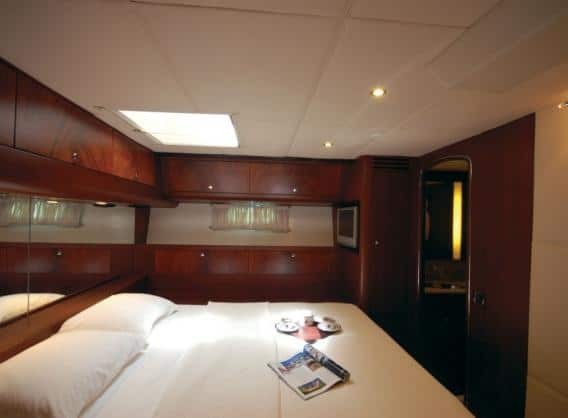 Her simple yet elegant interior was designed by Olivier Flahault to allow for incomparable space and comfort: the yacht has just three staterooms, a full width master with king-size bed, a double with queen-size bed and a twin. 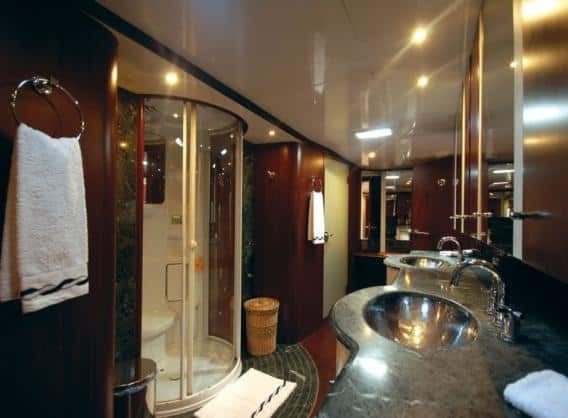 All staterooms have their own private en suite bathrooms. 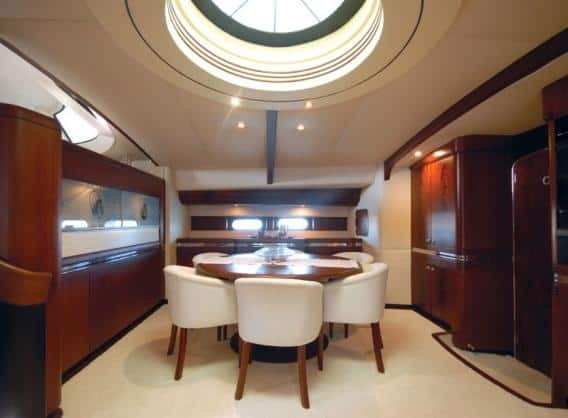 ROSINANTE was built for long-range cruising and with her highly experienced crew of five provides the ultimate vacation for the discerning charterer. 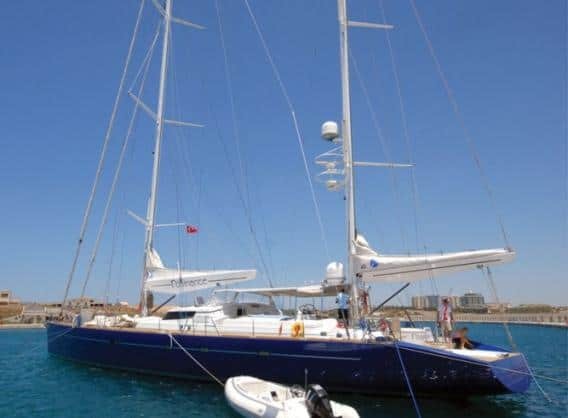 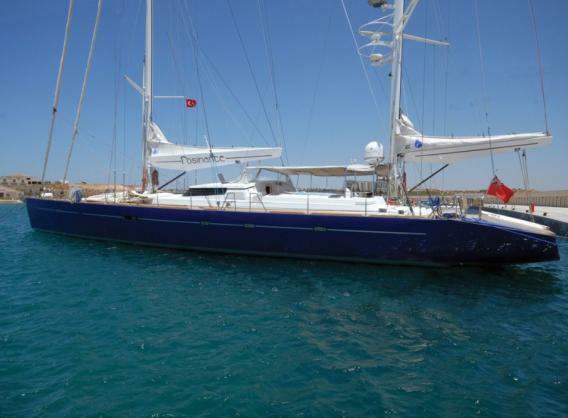 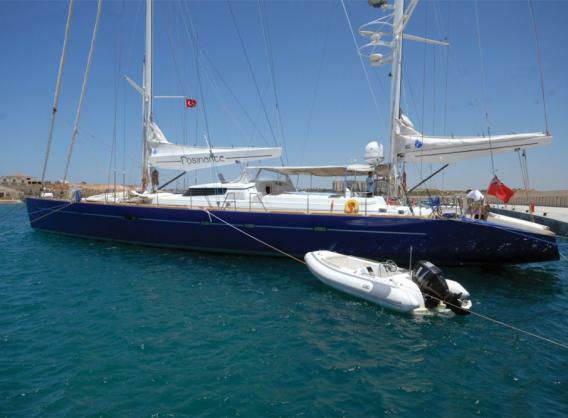 Technical Specifications LOA: 32.60m Beam: 8.10m Draft: 4.30m Displacement: 84.00m/t Ballast: 18,00m/t Flag: British Class: Rina & Turkish Lloyd Type: Fast cruising motor sailor Designer: Marc Lombard and Olivier Flahault Launch year: 1998 – Istanbul Material: Composite Cabins: 1 master,2 guest cabins each with private shower & head Fresh Water 2500L Water Makers 2 x 220L/Hr A/C: 108000 Btu fully automatic chilled water system Galley Fridges,icemaker,deep freeze,oven,microwave,dishwasher,washing machine,trash compater and grinder. 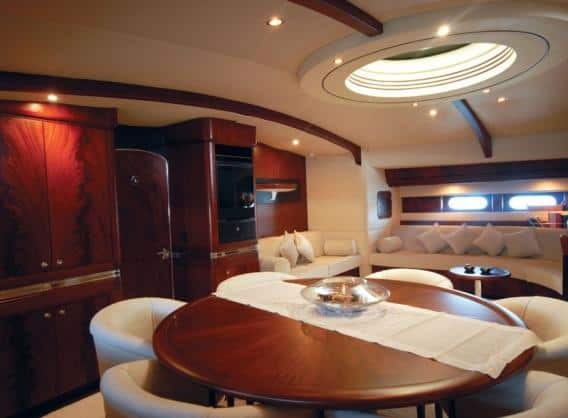 Engine: 1 x Cummins 300hp Generators: 2 x Northern Lights 33 KW Fuel: 4250Lt Electricity: 380 VAC, 220 VAC 50 HZ, 24 & 12 VDC Sail area: 577sq/m. 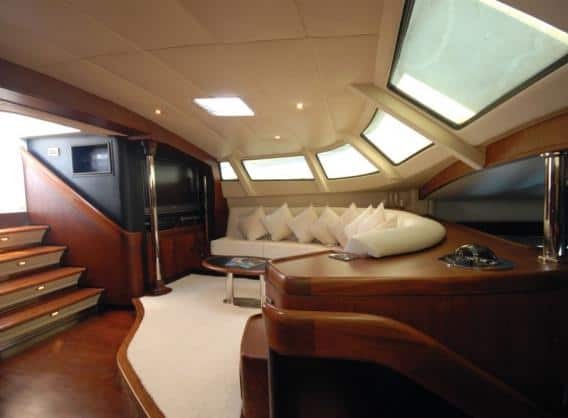 Upwind, 790sq/m downwind Navigation: Extensive range of all modern navigation and communication instruments & systems. 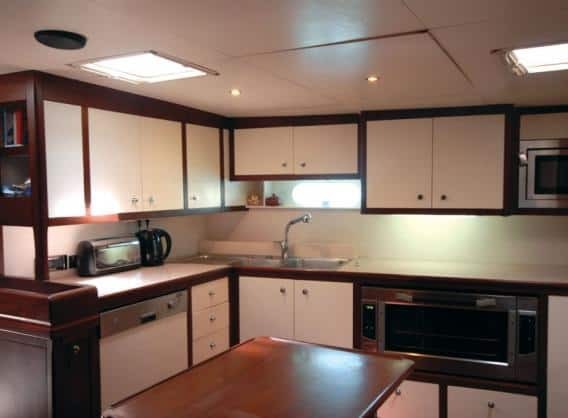 Life safety: 2 x 8 pax life rafts, epirb,life jackets,all interior equipped with heat and smoke detectors,engine room automatic fire fighting system. 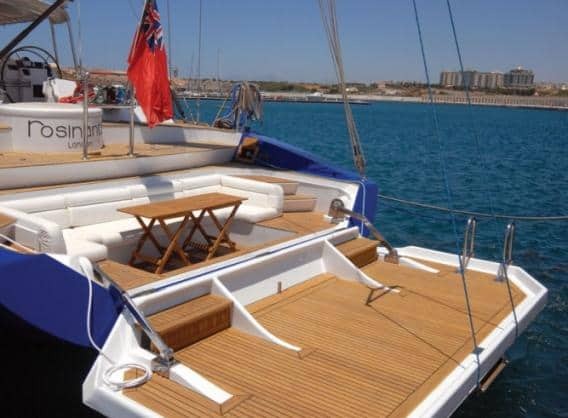 Dinghy: 1 x 95hp. 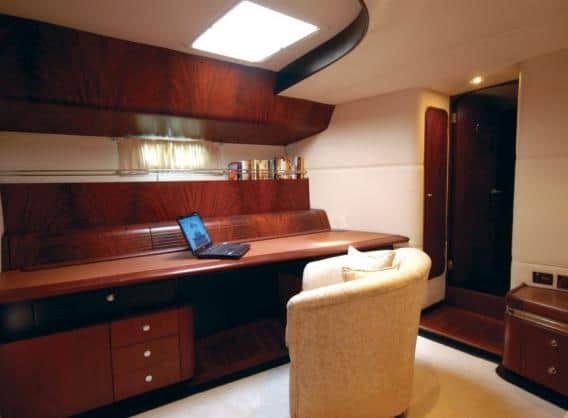 Jet Nautica Rib, 1 x 9.9hp zodiac dinghy Leisure: Windsurfer,waterskiis,wakeboard,snorkelling and diving gear,fishing gear and net,barbecue,close circuit video system with 4 cameras,videotape,computer,DVD player,Sat, TV,B/O video and audio components.